The pattern is etched and the pattern stands up a bit from the background. A perfect weight of leather for crafters!! 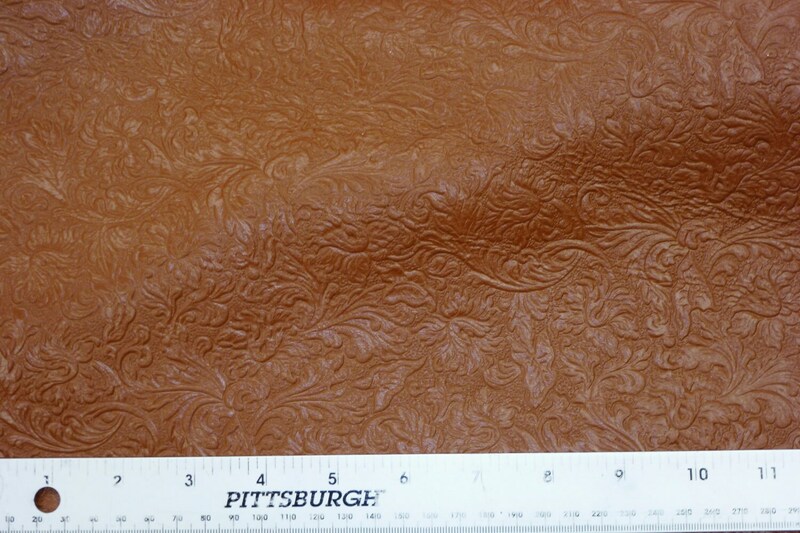 This leather is pliable and flexible and fairly soft. The backside is a oak tan suede. It is mostly nice, though but some pieces might have a stamp, fleshings other marks. Very happy with my purchase of this dark oak embossed leather. 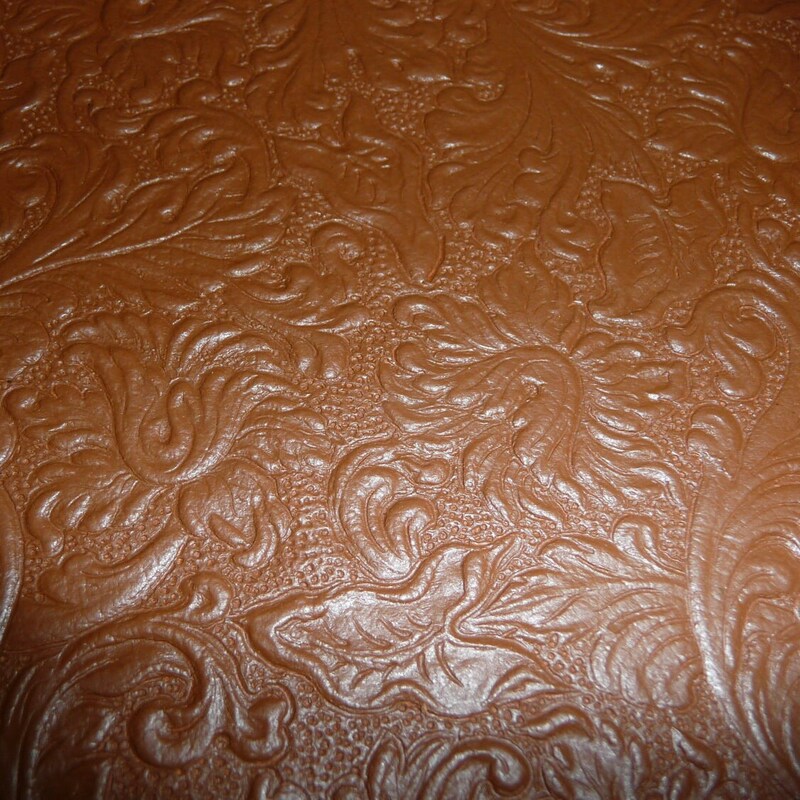 I highly recommend you visit PeggySueAlso for your leather needs. Everything as described, good quality! Wish Id gotten more of this. I really like it, its been perfect in every project I've used it.